Nominations have been released for the DJ Awards, the Ibiza-based gong-show that takes place at the end of the summer season on the Balearic island. 2009's awards take place on 24 Sep at Pacha Ibiza. 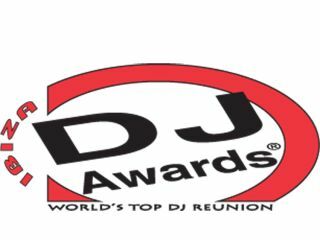 The final stage of voting is open to the public, and you can vote for your favourites from the shortlists below at www.djawards.com. House: Laidback Luke, Erick Morillo, David Guetta, Steve Angello, Sebastian Ingrosso, Axwell, Fedde Le Grand, Bob Sinclar. Techno: Richie Hawtin, Pig & Dan, Carl Cox, Ricardo Villalobos, Cristian Varela, Umek, Sven Vath, Luciano. Trance: Ferry Corsten, Paul Oakenfold, Armin Van Buuren, Tiësto, Above & Beyond, Markus Schulz, Paul Van Dyk, ATB. Progressive house: Nick Warren, Sasha, John Digweed, John Dahlback, Hernan Cattaneo, Lee Burridge, Danny Howells, Eddie Halliwell. Electro house: Deadmau5 (pictured above), Benny Benassi, Sander Van Doorn, Sebastien Leger, Eric Prydz, Mark Knight, James Zabiela, Layo And Bushwack. Tech house: M.A.N.D.Y, Laurent Garnier, Funkagenda, Dubfire, Steve Lawler, Marco Carola, Radio Slave, Marco V.
Minimal: Michael Mayer, Steve Bug, Matthias Tanzmann, Adam Beyer, Loco Dice, Guy Gerber, Magda, Anja Schneider. Deep house: Vincenzo, Phonique, Milton Jackson, Efdemin, Ben Watt, Charles Webster, Jimpster, Dennis Ferrer. Downtempo & eclectic: Mixmaster Morris, Jose Padilla, Nightmares On Wax, Gilles Peterson, Jazzanova, Theivery Corporation, Rob Da Bank, DJ Ravin. Psytrance: Astrixm, Ace Ventura, Liquid Soul, GMS, Perfect Stranger, Infected Mushroom, Yahel, Skazi. Best newcomer: Anderson Noise, Minilogue, Riktam & Bansi, Popof, Gabe, Andy Moor, Ellen Allien, Hervé. Breakthrough: Joris Voorn, Marcel Dettmann, Valentino Kanzyani, Dixon, Jamie Jones, Matthew Dear, Kaskade, Nick Curly. International DJ: Armin Van Buuren, Sander Kleinenberg, Sasha, Tiësto, David Guetta, Carl Cox, Sven Vath, Erick Morillo.